Bill Taylor, a long snapper from American Christian Academy in Tuscaloosa, committed to Auburn on Monday. Taylor, listed at 6-foot-4 and 235 pounds, is one of the top snappers in the country. He is listed as a five-star recruit per KohlsKicking.com and as the No. 2 snapper in the country. With an average snap time of 0.64 seconds, Kohl's Kicking calls him the "fastest long snapper in America." He can snap on punts and field goals/extra points. Taylor announced his commitment on his Twitter page and confirmed it with AL.com. He earned an offer from Auburn head coach Gus Malzahn and special teams coach Scott Fountain after his performance Sunday at the specialists camp. "I came down there and really did well at the camp," Taylor said. "After the camp, Coach Fountain called me up into his office. We talked for a little bit. We then went into Coach Malzahn's office and he offered me a scholarship. I told them I wanted to talk it over with my parents a little bit and I called them this morning and committed." Despite growing up in Tuscaloosa, Taylor grew up an Auburn fan. His parents went to school at Auburn. "Everybody's ecstatic right now," Taylor said. "I see this as a huge opportunity. One of my aspirations one day is to play in the NFL and I think the stage at Auburn is one that can be suitable for that. 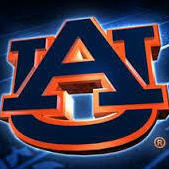 I think the next few years at Auburn can be among the best years ever at Auburn. I think they've got the best coaching staff in the country and I'm excited to be a part of it." Taylor had scholarship offers from Samford and Memphis. It isn't easy for snappers to earn offers out of high school. "It's a big relief," Taylor said. "I wanted to make my decision by the end of June the whole time. I've been to a ton of camps this summer so for them to go ahead and offer me and for me to make my decision, I'm really excited." Going into this fall, Auburn has long snappers Ike Powell (junior) and Zach Wade (sophomore) on the roster. Originally, Auburn wasn't going to sign a long snapper in this class, but Taylor's camp performance changed the coaches' minds. "Our long snapper, not looking for that scholarship long snapper, but we're trying to find guys that can come in possibly as a walk-on that can play some and possibly win a scholarship there. If not a year from now we'll just go after the best ones in the country," Fountain told AL.com earlier this year. Taylor said he also plays defensive end and tight end for the Patriots. Only deep snapper Gus should be after are in the Gulf of Mexico. Good grief this is getting out of hand. Dude! Relax and stop trying to melt the dad gum board on your own. It's not even known if it's even an actual scholly offer yet & it looks like he's not even coming to AU til January 2018. Get on twitter. A deep snapper committed to AU an hour ago. All of this plus.......It's only June. That doesn't mean he will be on scholarship though. Sounds like he will have a scholarship. Good for the long snapper, he better earn it. The way I interpreted it is that he won't be on scholarship his first year much like kickers and punters that Gus recruits. Kickers are one thing but a deep snapper? Don't care what year. I guess I should be glad Gus has the depth so deep now he can afford to offer schollys to deep snappers. Where are we ultra thin at that we can't use one scholarship a year on a specialist? I think we just had a walk on snapper from Leeds last year if I'm not mistaken. What if we lost an MNC because of a bad snap on a extra point or snapped the ball over the punters head deep in our territory that would lead to a loss. Would that make the position more deserving? because years ago kickers didn't scholarships and that's when many teams carried 120+ scholarship players. The sports world has gone the way of "the specialist". 3 point shooters/shot blockers in basketball, relief, setup and closer pitchers in baseball, and now specialist in football. It may or may not be seen as a wasted scholarship in the future but for now I support the coach's decision on personnel. I think he forgot to turn the sarcasm emoticon on. We aren't deep enough anywhere to be giving a scholly to this guy. BTW, didn't Tuberville do this (and caught hell for it) his last year? Pretty sure the great Satan at uat signed a scholarship long snapper just a couple of years ago. Plus we are stealing this one right out of their back yard! Where is al.com on this? The kid is the #2 ranked snapper in the country and a lifelong AU fan, what's not to like?? It's just one scholly and sounds like a win-win to me. Not to mention the fact that often our snappers start for several years, not like he won't earn that scholly. Tuberville was ahead of his time. I believe he was somewhat of a pioneer in the practice of offering scholarships to kickers as well. I'm not sweating it. That is for sure. You must be talking about Bill Taylor. He's 6-4, 235 from Tuscaloosa (Ala.) American Christian Academy, He's the No. 2 long snapper in the 2017 class. Personally, I'm for this. For a punter it can be very unsettling not having confidence in your snapper. Specialists take such concerns away. If we get a commitment from the #2 player in the nation at any position it should be an occasion for a big War Eagle! Hardly a theft when the kid's parents (both of them) are Auburn grads. They just happen to live and work in the tuscaloosa area. Is it just me or has anyone else noticed a big swing on a certain poster's attitude on the forum? Yeah I saw that but it doesn't fit my agenda so I ignored it ?